Welcome to another edition of the Wednesday GIVEAWAY Roundup with me and Erica! Add your link or enter to #WinAllThePrizes! If you want to link up, read the rules here. I have been sick all week so no posts over the weekend, Monday or Tuesday. So to make it up to you, I am giving away a coupon for 1 free jar of one of my favorites! 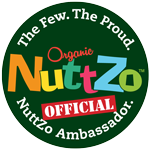 Did you know I was a Nuttzo ambassador? This means I am Nuttzo about Nuttzo! So remember, I am only giving you a coupon for a free jar so you can take it to your local store and redeem it. So if you don't have a store near you that sells Nuttzo, this may not be the GIVEAWAY for you. You can check out the store locator here. If there isn't a store near you, you can buy it online using code arons15 for 15% off! During my stint as an ambassador, I have created some fun recipes with Nuttzo including protein balls and Nuttzo Egg Nog! It is delicious with some honey on toast or even by itself! 1. Comment below with what flavor Nuttzo you would like. - Visit the Nuttzo Facebook page and tell them I sent you! Leave me a comment saying you did. - Enter any other GIVEAWAY in this Roundup and leave me a comment with which one you entered. Now, go enter some more GIVEAWAYS and don't forget to link up your own! I am entering these too and so good luck to us both! Make sure to come back here tomorrow for the #ThursdayTriumph post and a special giveaway! I'd like to try the Nuttzo Crunchy Power Fuel flavor. They sell Nuttzo at Walt Churchill's Market which is just about 10 miles to the north of where I live. They have actually been sponsoring a Half Marathon in the area for over 45 years, one of the longest running races in Ohio! The Original Crunchy would be yummy! I'd buy it at Whole Foods. I entered both Bearded Brothers Go Bold Bars and Super Pop! Bars Giveaways. I posted on Nuttzo's Facebook page and tagged you. I posted a Tweet: https://twitter.com/FireRunner2379/status/600994756609613824. 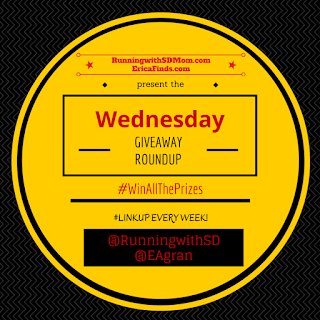 I entered Erica's giveaway for the Wigwam Ironman Running Socks. Oh, and I would buy it at Sprouts. I'd try the crunchy chocolate flavor. I can buy Nuttzo at Earth Fare in Charleston. I buy my Nuttzo at Whole Foods typically! I let Nuttzo FB know you sent me! I want the original crunchy!! I want to try the crunchy one. My local specialty health food store Basil Bandwagon! And i'd get it at whole foods! I would buy mine at whole foods! Earth fare is where I would go and get it. I went to NuttZo's facebook page and told them you sent me there way. I would love to try the crunch chocolate flavor!! yum! 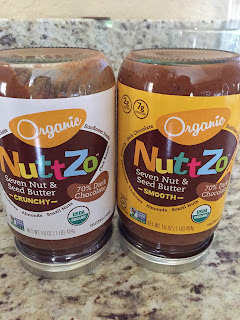 I would buy Nuttzo at Whole Foods! I have entered the Wigwan running sock giveaway and plan on enter more! Nuttzzo is an all time favorite! In recipes or simply with a spoon it's fabulous. i want to try the original! I would buy Nuttzo at Whole Foods Store nearby. I would love to try the power fuel smooth. I always need some extra power to get through the day and it looks like it would taste great! I would buy Nuttzo at my local Fairway Supermarket. It's only 5 minutes from my job! I'd buy it at WholeFoods!! I'd buy it at the health food store in Portsmouth NH. I entered the Zevia giveaway. I'd love to try the Chocolate Nuttzo. The closest place for me to purchase would be Whole Foods in Memphis, TN, which is over an hour away. The dark chocolate sounds yummy! Closest location here is Whole Foods. I entered the Wigwam socks giveaway. I'd like the Original Crunchy! I'd buy it at Whole Foods! I entered the Crispy Fruit Giveaway! I'd go for Power Original Crunchy. Ray, please email me at RunningwithSDMom@gmail.com You are my winner!!!! My Whole Foods sells it. I entered the Superseedz and Crispy Fruit. The Original Crunchy would be great! I'm having a giveaway/contest at my blog too! You should check it out!